Acrylic glass often referred to as Plexiglass or Lucite is a thermoplastic that looks and feels like regular glass but is much less fragile. Our acrylic prints are completely transparent and can be cut and printed to any design style. 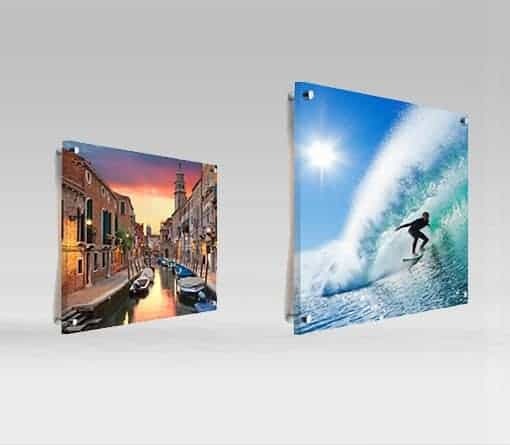 Unlike traditional signs, Acrylic prints allow light to pass through, which makes them a great option for backlit displays. These signs look classy and expensive but are actually quite affordable. Whether on the wall or as a countertop, Acrylic prints, and acrylic signage turn heads and draw a lot of compliments.